The word "wrought" comes from the verb "work", wrought iron means "worked iron" or in another word"forged iron". Historically wrought iron has been worked by blacksmiths, using traditional techniques like hammers and anvils to make high end 'Decorative Wrought Ironwork. Feature Easy to assemble, durable surface treatment. Iron. 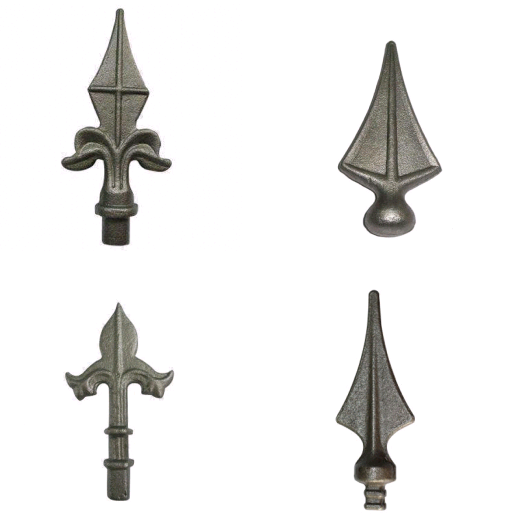 Cast Ornamental Fittings Can be Welded on the Gates, Fence and Stairs easily by cast iron electrode and steel electrodes. 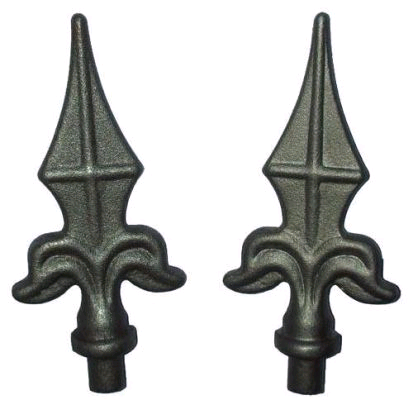 We can supply wrought iron ornamental, forged steel ornamental, they are stamped spears, steel hollow ornamental iron balls, steel stair railings, forged pickets, scrolls, steel flower panels, finished products, such as steel iron gates, steel iron fences, wrought iron stairs. 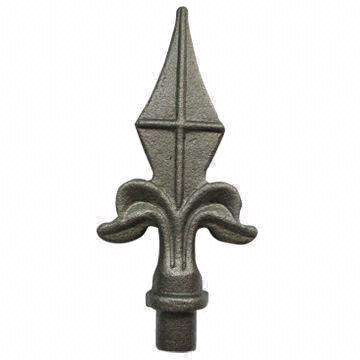 Also the cast iron ornamental, cast steel ornamental, such as studs, leaves and flower, spearheads. We would like to create any design or work with any picture drawings you may have. For the small products we first packed in bags then put the bags in iron pallets, every 20GP container can put 24 pallets. About the big ones, for examples, rosettes and pickets we put in iron pallets directly. We can booking space for customer and also allow customer find freight forwarder. The truck with container come to our factory to load the products then go to Ningbo Port. Q1: You are the trading company or factory? We are the more than 25 years factory. Q2: Can you offer OEM ? Yes, we can supply OEM. Your products can be customized. Q3: How to ensure sending my goods in time? Efficient production, Convenient transportation, Professional management. Q5: how can I get my goods?